The growth hack of Microsoft Edge in its fight against Google Chrome. March 30, 2018 / Rachel / Comments Off on The growth hack of Microsoft Edge in its fight against Google Chrome. Google is the undisputed leader in the browser market. 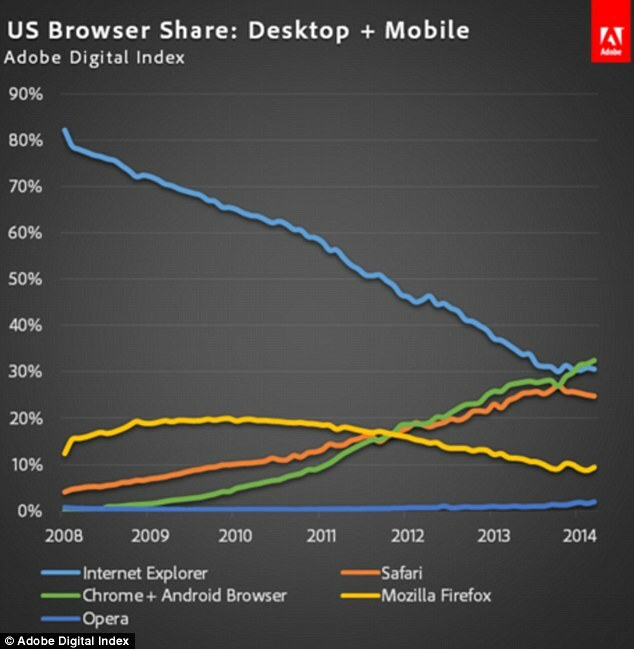 Chrome indeed brings together 67.5% of users on computer (desktop / laptop). Edge, Microsoft’s newest browser is only used by 4% of surfers. Internet Explorer by only 6.9% of users (for 11.5% to Firefox) despite the fact that Windows 10 is installed on 36% of computers on a global scale! 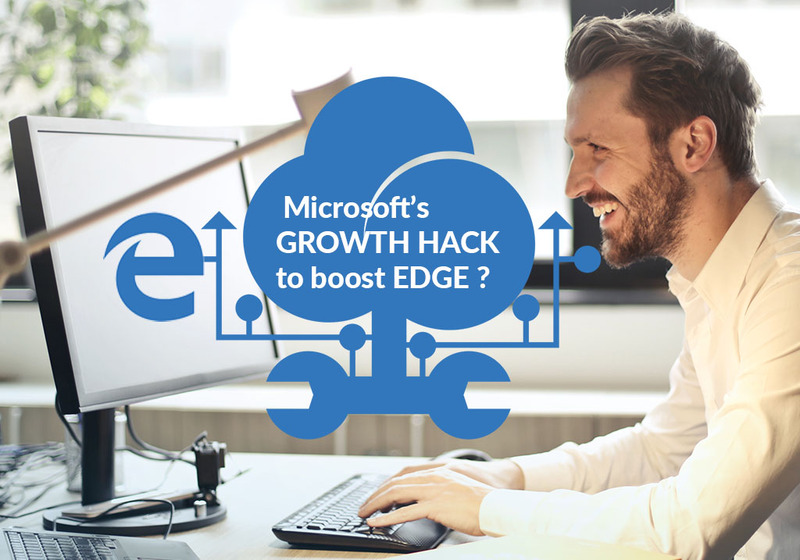 Microsoft has found a solution-a small growth hack-to try to reduce the gap during the next release of its OS, forcing the URLs clicked from Windows Mail to open in Edge, its newest home browser. And this will happen even if the user had chosen another browser as a favourite. This is forced redirecting by which not all users of Windows Mail will be thrilled. Microsoft states that the firm will of course take into account the feedback of its beta testers and they are already considering to reverse the measure if it proves too unpopular. This is not the first time that Microsoft tries to make odds even and find its place amongst browsers. Windows 10 users are therefore invited to confirm their willingness to change their favourite browser if they decide to opt for Chrome. A warning that does not seem to push candidates to quitting. In one of our previous article, we said that it would be good if a real countervailing power could emerge in this ecosystem to moderate the situation of quasi-monopoly now enjoyed by Google Chrome, with all the risks that this entails in terms of Security and exploitation of personal data. 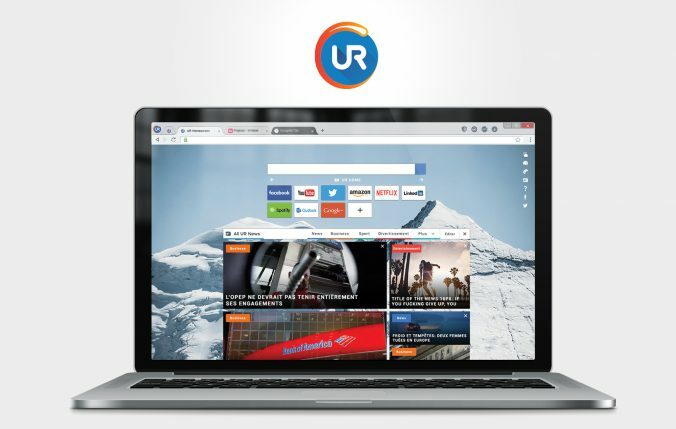 Every day, we bring another piece to the puzzle and we will continue to develop URBrowser to the point where it is a quality alternative to Chrome (and other browsers, including Edge or IE).